Digital media such as Twitter and Facebook are connecting so-far disconnected people and activating their political participation (Bennet and Segerberg 2011). Connecting this discussion, this paper aims to explain how the spread of digital media contributed to the anti-nuclear demonstration in Japan after the Fukushima accident. Although the sudden upsurge of the demonstrations after the Fukushima accident is widely reported (Chiavacci & Obinger 2018; Brown 2018; Oguma 2016), the exact mechanism how this upsurge came about was still not answered. Given the fact that Japan had suffered from the prolonged “ice-age of the social movements” (Pekkanen 2006), it is crucial to examine (1) who the new-comers to demonstrations are and (2) how these new-comers are activated. Based on the online survey conducted at the end of the year 2017 to around eighty thousand people living in greater Tokyo area, this paper answers to these questions. According to our survey, we can classify 37 % of the demonstrators as “new-comers”, as they have no prior experience to the participation in a demonstration in general before the accident. As compared to those who had prior experiences to the demonstrations or “veterans”, the new-comers are less leftist and more culturally liberal. The new-comers showed a favorable attitude toward social movements even before the accident. But they did not actively participate in it, because most of them did not belong to political or citizen groups. Our survey shows that new-comers are more dependent on digital media than “veterans”. Accordingly, we conclude that digital media contributed to widening the participants of the demonstrators after the accident. The IN-EAST School of Advanced Studies of the University of Duisburg-Essen is inviting submissions for participants of a workshop on various perspectives dealing with the urban aspects of the Tokyo 2020 Olympic and Paralympic Games (see below) in Duisburg on the 27th of February, 2019. Travel costs for speakers from within Europe will be covered. Abstracts (max 400 words) together with a short (max 200 words) biographic note should be sent to deirdre.sneep@uni-due.de by the 4th of February, 2019. For more information and inquiries, please do not hesitate to get in touch. The 2020 Tokyo Olympic and Paralympic Games will be the second Olympic Summer Games Japan. Already having become a widely discussed topic by in public and political discourse because of several large issues concerning the budget, the (location of) new facilities, and plagiarism concerning the Olympic logo, Tokyo is struggling to upkeep its image towards the outside. At the moment, the city is in the midst of its preparations, constructing 'physical legacies' to leave for future generations and in an effort to impress the rest of the world. In particular, the 2020 Games are characterized by an emphasis on the Paralympics (perhaps even more than the Olympics), and the promise of making the city ‘barrier free’, not only for those with a physical handicap, but also for the growing elderly population. Strongly focusing on showcasing technological prowess and excellence through urban innovations, the Games are advertised as 'the most innovative in history', and Tokyo as ‘city of tomorrow’. 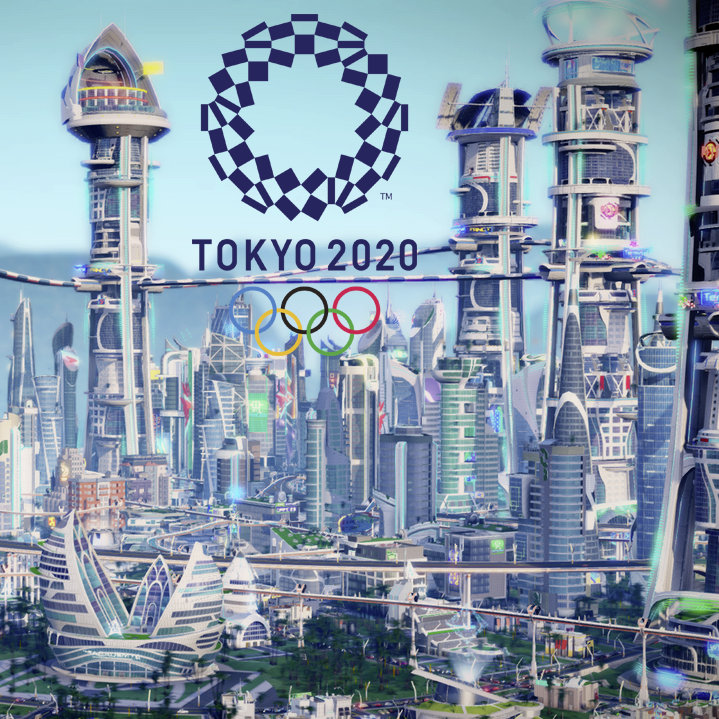 These claims, part of an antithetical message of transcending politics while clearly being used as marketing strategies, are remarkable in the case of the 2020 Games as the emphasis is on Tokyo as a city as innovative and livable. 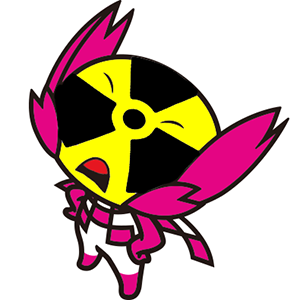 While in fact, Japan, and Tokyo as pars pro toto, is confronted with an ever-growing aging demographic (Coulmas 2007), the troublesome aftermath of the 2011 triple disaster (Gill, Steger and Slater 2013), and an economy still struggling to overcome past crises. In how far the city will manage to re-brand and improve itself in the upcoming year and a half, is debatable. This workshop aims to promote discussion on the urban aspect of the 2020 Olympic Games, analyzing the spatial aspects of the preparations from various socio-cultural perspectives and situating the event not only in Japanese history, but also in relation to the current power dynamics of global cities. 11.30 Erez GOLANI SOLOMON, Bezalel Academy of Arts and Design, Jerusalem (in cooperation with Christian DIMMER): Is it too Early to Speak about Zaha Hadid’s Ghost? She will participate at the workshop City of Tomorrow on February 27 as a presenter with her lecture Construction of the Main Stadium for the Second Tokyo Olympics: Implications and Issues. Auctions are used to implement a quota system of car ownership in Singapore and in many fast growing cities of China. Three such cities where influential auction formats have been developed for allocating car licenses are the Asian metropolises of Singapore, Shanghai and Guangzhou, with other cities following suit. In this paper, we examine these auction formats theoretically and experimentally. We introduce reaction time as an important non-economic factor to model bidding behaviors in car license auctions. At the theoretical level, reaction time causes inefficient allocations in the Shanghai auction but not in the Singapore or Guangzhou auctions. The experimental results are consistent with our theoretical prediction that late bids prevail in all of these auction formats, but only lead to inefficient allocations in the Shanghai auction. Additionally, we scored the subjects' reaction time in the Shanghai treatment by conducting a number comparison task and we found a positive correlation between winning probability and the score for reaction time. It is hard to imagine Japan, a society with a strong national cultural identity and a myth of racial homogeneity, as an immigrant society. Although at around 2.5 million and about 2 % of the total population, the presence of immigrants is not comparable to that in most other industrial countries, immigrants have nonetheless penetrated every aspect of economic and social life in this island country and are taking part in shaping its future. Based on many years of field research among immigrants from different national backgrounds living in Japan, this presentation examines how immigrants make home, build communities, and understand their existence in a country with distinct patterns of social organization and powerful ethno-national cultural narratives. 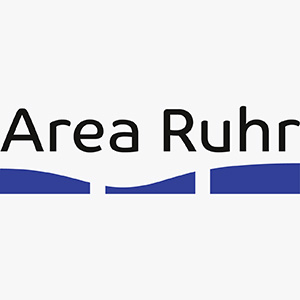 Der/die Stelleninhaber/In übernimmt als Projektmanager/In die administrative Koordination und Begleitung eines Verbundforschungsprojektes des BMBF (IN-EAST School of Advanced Studies). Die Universität Duisburg-Essen verfolgt das Ziel, die Vielfalt ihrer Mitglieder zu fördern (s. http://www.uni-due.de/diversity ). Sie strebt die Erhöhung des Anteils der Frauen am wissenschaftlichen Personal an und fordert deshalb einschlägig qualifizierte Frauen nachdrücklich auf, sich zu bewerben. Frauen werden nach Maßgabe des Landesgleichstellungsgesetzes bei gleicher Qualifikation bevorzugt berücksichtigt. Bewerbungen geeigneter Schwerbehinderter und Gleichgestellter i.S. des § 2 Abs. 3 SGB IX sind erwünscht. Ihre vollständige Bewerbung richten Sie bitte schriftlich unter Angabe der Kennziffer 833/18 an den Kanzler der Universität Duisburg-Essen, Campus Duisburg, Dezernat 4, Sachgebiet 4.2, z.H. Frau Eilers, 47048 Duisburg. Reichen Sie bitte die Bewerbungsunterlagen nur in Kopie ein. Bitte beachten Sie, dass Bewerbungen auf elektronischem Weg nicht angenommen und Bewerbungsunterlagen nicht zurückgeschickt werden. Schnellhefter oder Bewerbungsmappen sind daher nicht erforderlich. Wenn es nicht zu einer Einstellung kommt, werden die Bewerbungsunterlagen in regelmäßigen Abständen auf datenschutzrechtlich unbedenklichem Wege vernichtet. Weitere Informationen zur Stelle erhalten Sie bei Herrn Helmut Demes (Telefon: 0203/37-94191, E-Mail: helmut.demes@uni-due.de ) und zum Bewerbungsverfahren im Personalsachgebiet bei Frau Eilers (Telefon 0203/37-91359, E-Mail: claudia.eilers@uni-due.de ). The metropolitan area of Tokyo is still the Japanese seismograph of new social developments in the public sphere, even after nearly two decades of decentralization reforms. Due to the rapid urban and social developments, the metropolitan society offers an ideal forum for social innovations. With presenters from sociology, political science and cultural studies, the workshop offers various insights of social and urban innovations in the form of new social movements, democratic innovations, and recent urban developments and their effects on the local community. 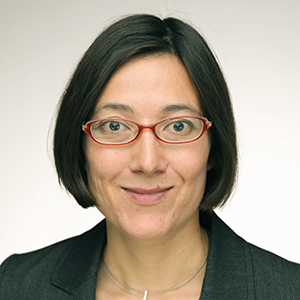 14:15 Anna Wiemann: The Network Coalition E-shift – A New Form of Social Movement Organization? 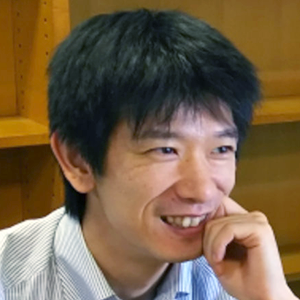 15:30 Kei Takata: What’s so New about the ‘New New Social Movements’ in Japan? 10:30 Christian Tagsold: The Tokyo Olympics 2020: A Small-Scale but Functional Vision for the Mega-City? 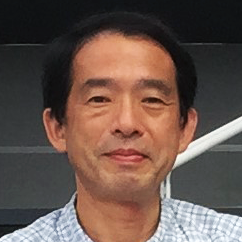 He will participate at the workshop Social processes and effects of innovations in Tokyo and beyond on November 8–9 as a presenter with his lecture Tokyo’s Flexible but Uncontrollable City Regions as Innovative Base: Its Past Development and Future Challenges. Li Shiqiao, PhD is Weedon Professor in Asian Architecture and Architecture + Architectural History and Chair of Architectural History at the University of Virginia’s School of Architecture. His research is focused on understanding Chinese architecture with its culture and intellectual frameworks. 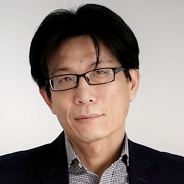 He studied architecture at Tsinghua University in Beijing and obtained his PhD from AA School of Architecture and Birkbeck College, University of London. Li practiced architecture in London and Hong Kong, and initiated design proposals which were published and exhibited in journals and international exhibitions. 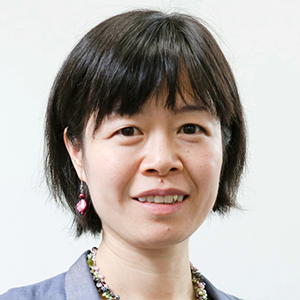 Prof. Li Shiqiao seeks for spatial understanding with deep cultural frameworks through studies of Chinese cities, as well as how these cultural frameworks are fundamentally structured by distinctive features stemming from the linguistic constructs of Indo-European and Sinitic languages. All these come together to formulate new theoretical grounds for design. 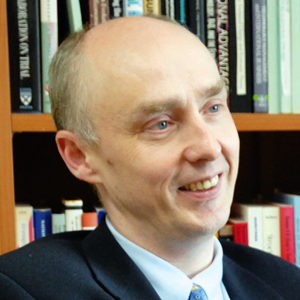 His books include Understanding the Chinese City (Sage, 2014), Kowloon Cultural District (MCCM Creations, 2014), Architecture and Modern Thought (China WaterPower Press, 2009) and Power and Virtue: Architecture and Intellectual Change in England 1660–1730 (Routledge, 2007). Guest lecture at the Graduate Research Group Scripts for Post-industrial Urban Futures: American Models, Transatlantic Interventions, Campus Essen. (German title: Innovative Formen demokratischer Beteiligung. Bürgerdeliberation im japanisch-deutschen Vergleich). 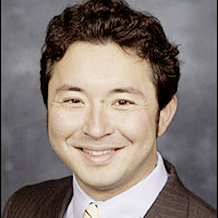 The IN-EAST School of Advanced Studies is pleased to announce that Kenneth Paul Tan, Associate Professor at the National University of Singapore’s (NUS), Lee Kuan Yew School of Public Policy, is currently visiting fellow at the IN-EAST School of Advanced Studies (Hiroshi Kitamura fellow). At a joint event together with Lijie Gao, Institute of Urban Environment of the Chinese Academy of Sciences, both are going to give a guest lecture to which we cordially invite you. It is useful to think of contemporary Singapore, for all its complexity, as having a dual nature: Singapore is simultaneously a small postcolonial multicultural nation-state and a cosmopolitan global city of the top rank. This duality has produced a dynamic variety of contradictions and tensions, which have made all the more challenging the task of keeping the authoritarian Singapore system stable, durable, and successful. For one thing, the state has had to exert continuous effort to contain, rather than resolve, these contradictions in a pragmatic (that is to say, adaptive and undogmatic) fashion, whilst directing the public narration of a coherent and persuasive story that is acceptably meaningful and even inspiring to Singaporeans and other countries looking for ideas, role models, and partners for development and governance. This balancing act partly involves an internal process of nation building, but it is also achieved through more commercially motivated and outward facing efforts at nation and city branding. Both sets of processes contribute to Singapore’s capacity to influence foreign affairs, if only for national self-preservation. For a small state with resource limitations, this will mainly be through the exercise of soft (persuasive and attractive) power, which – when strategically combined with hard (military and economic) power – gives Singapore what former Harvard Kennedy School dean Joseph Nye (2013) called ‘smart power’. In this lecture, I analyze the increasingly multivocal and contested nature of the Singapore narrative – undergirding its national identity, brand, and soft power – by adopting a critical-analytical approach, inspired by Antonio Gramsci, which is centred on the notion of ideological hegemony. Kenneth Paul Tan is an Associate Professor at the National University of Singapore’s (NUS) Lee Kuan Yew School of Public Policy, where he has taught since 2007 and served as its fourth Vice Dean for Academic Affairs from 2013 to 2017. 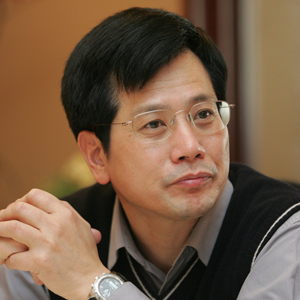 He has published in leading international journals such as Asian Studies Review, Critical Asian Studies, International Political Science Review, and positions: asia critique. 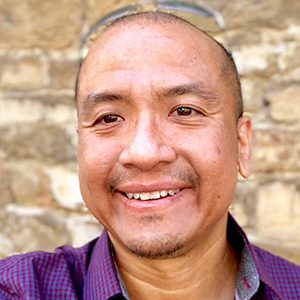 His books include Governing Global-City Singapore: Legacies And Futures After Lee Kuan Yew (Routledge, 2017), Cinema and Television in Singapore: Resistance in One Dimension (Brill, 2008), and Renaissance Singapore? Economy, Culture, and Politics (NUS Press, 2007). His forthcoming book is titled Singapore: Identity, Brand, Power (Cambridge University Press). Despite the significant environmental problems resulting from China’s rapid economic development, the country is actively seeking solutions. Since the 1980s, the theory and practice of modern ecology in China have developed rapidly (Ma and Wang, 1984). A relatively complete set of theory, methodologies and plans for the construction of ecological cities guided by the socio-economic-natural complex ecosystem theory has been formed, providing theoretical and practical foundation for ecologically oriented sustainable construction beginning from 1990s. In practical phases, demonstration projects such as the Ecological Cities Construction Demonstration Zones accrediting different level of cities, towns, districts and development zones are effective incentives to facilitate sustainable development at local level, often all translated as eco-cities in China. At the other hand, international cooperation projects with government support, and paired with foreign involvement, with planners, architects after 2000s also flourished. With the new concept of Ecocivilization put forth, political and cultural dimensions of development are addressed. Some regions, such as Karamay, Guiyang, and the Minhang Development Zone, have been leaders in the implementation of the Ecological Civilization development model, and their experience offers valuable lessons for other regions in China as well as for other developing countries. During these theoretical evolution and trend of sustainable urban construction, a series of financial and political support policies supports from home and abroad has generated positive results nationwide, lessons are also learned through the process of these innovative ecological exploration. In this lecture, based on introducing sustainable urban construction trials, I will try to give a picture of their processes, challenges, institutional structures, development modes and approaches. 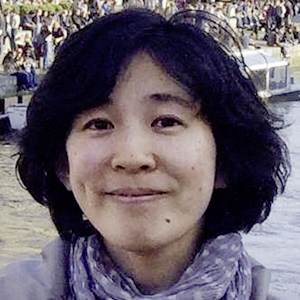 Dr. Lijie Gao from the Institute of Urban Environment of the Chinese Academy of Sciences who is currently on a DAAD PostDoc Fellowship at the Institute of City Planning and Urban Design at the University of Duisburg-Essen. 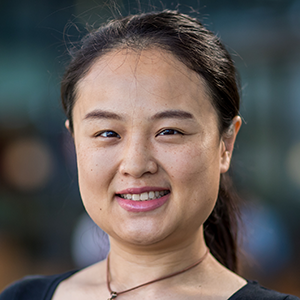 Ms Lijie Gao has worked as a postdoctoral researcher with the focus on „Ecological-Sustainable Planning and Assessment” for several years with her main research interests in Sustainability; Low Carbon Development; IndustrialEcology; Urban Ecology. Her projects were awarded with several prestigious grants such as the National Natural Science Foundation China or the Foreign & Commonwealth Office’s Strategic Programme Fund (SPF). Her works has been publish in several peer-reviewed journals, monographs and edited volumes.